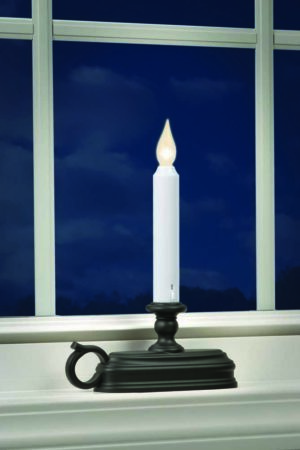 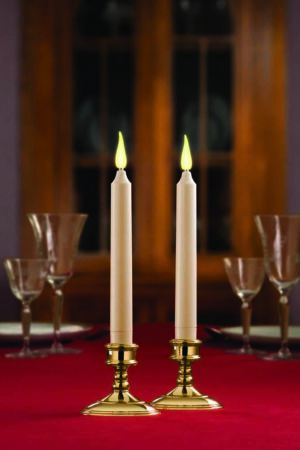 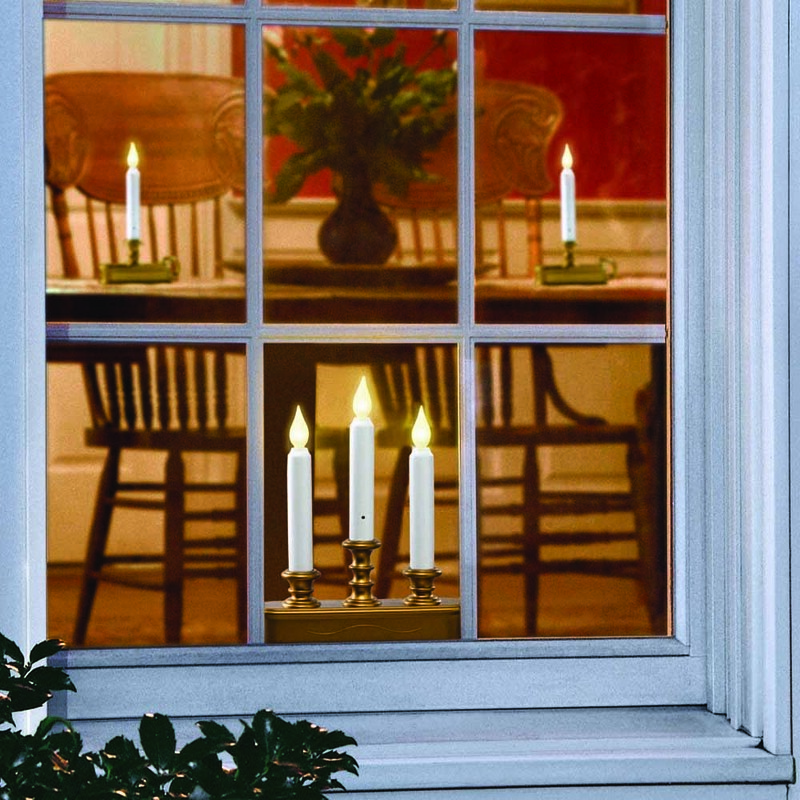 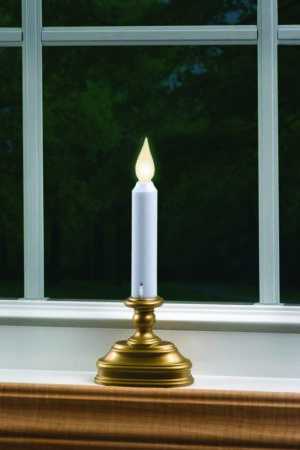 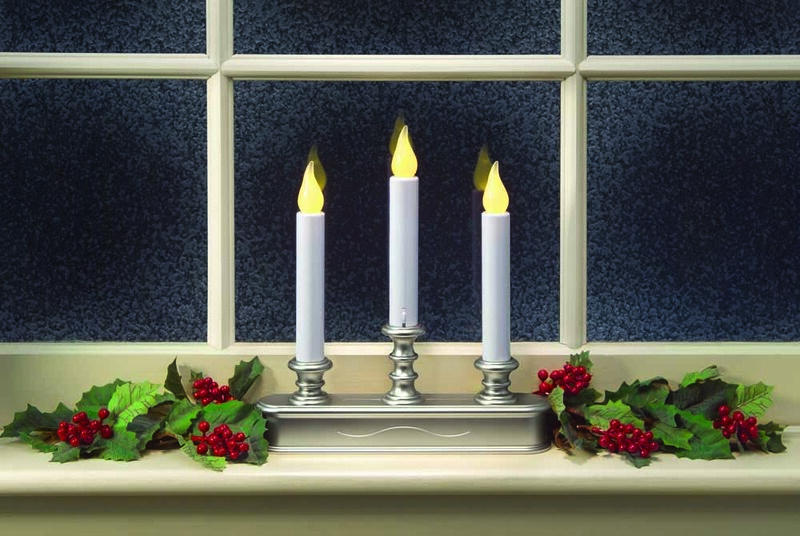 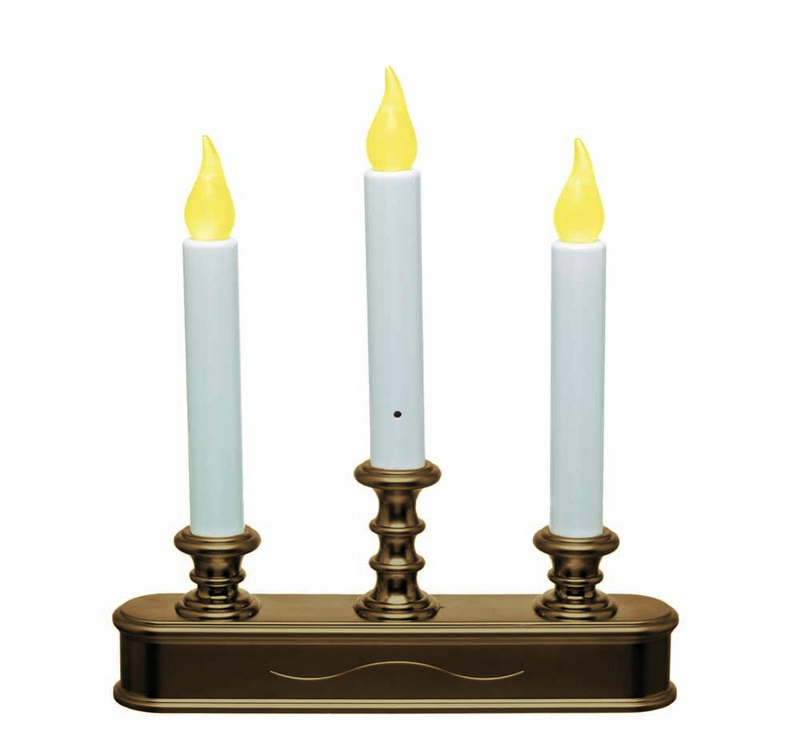 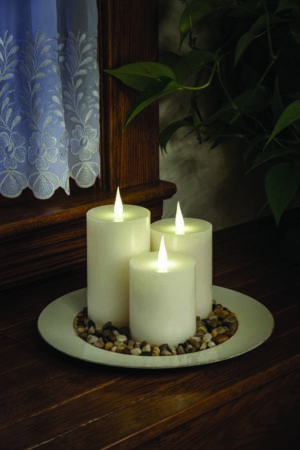 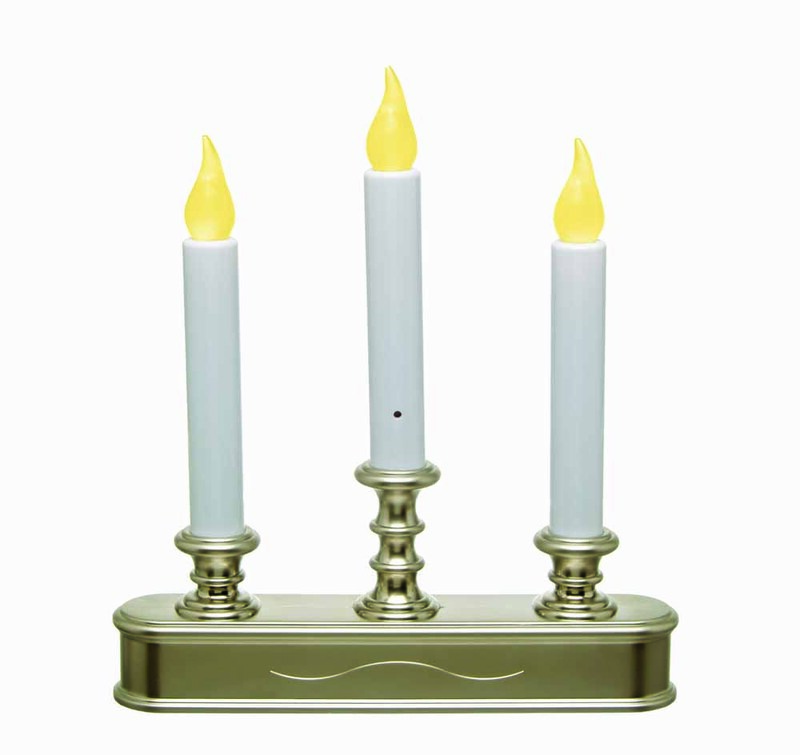 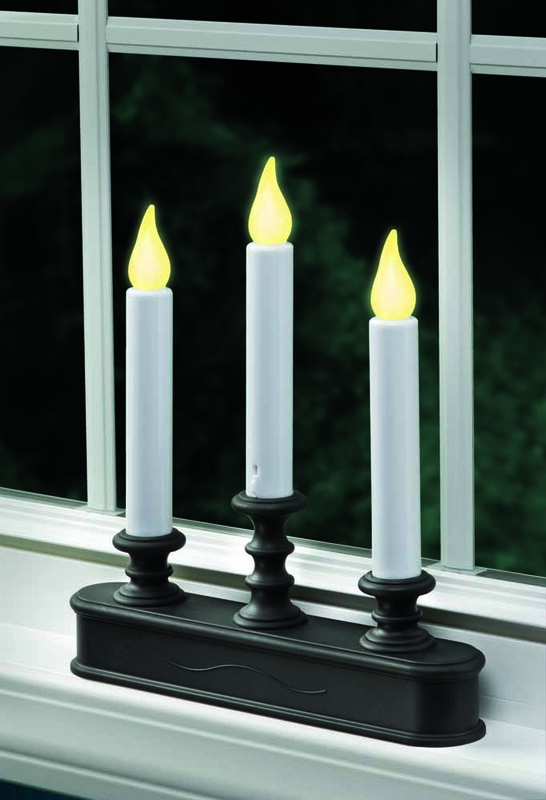 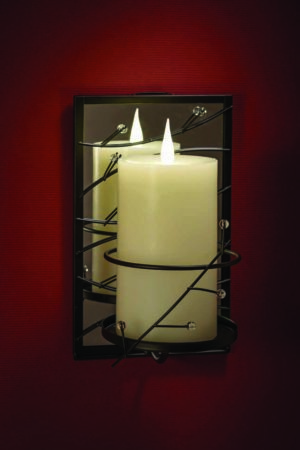 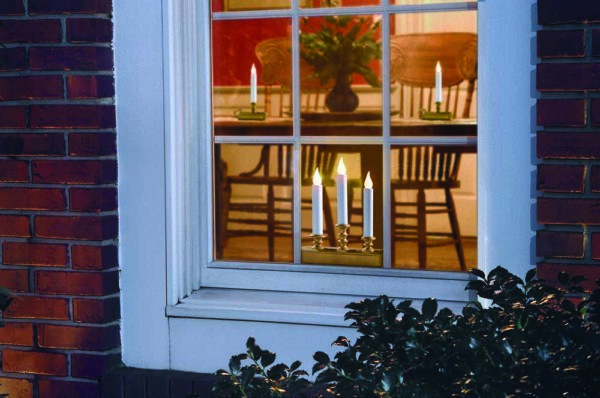 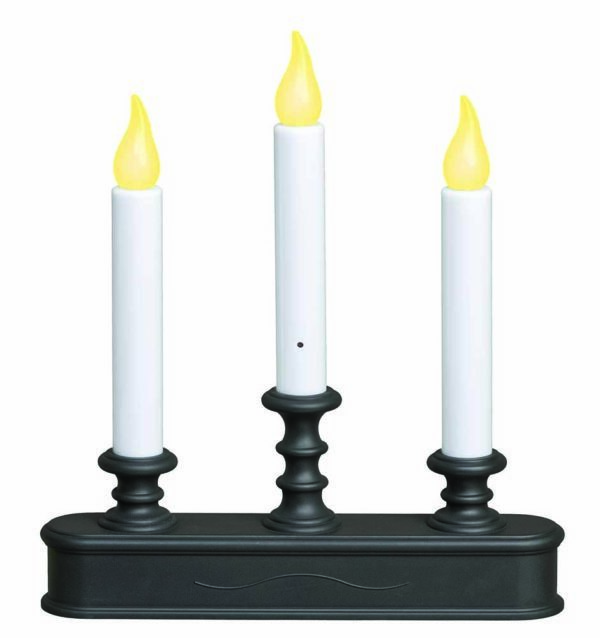 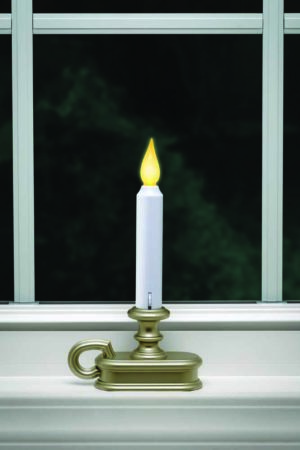 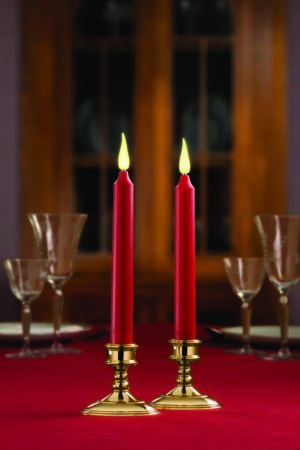 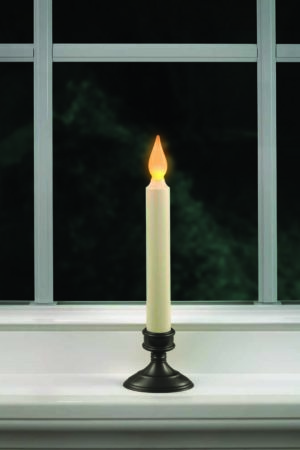 Amber Flame LED Candles automatically come on at dusk and turn off at dawn. 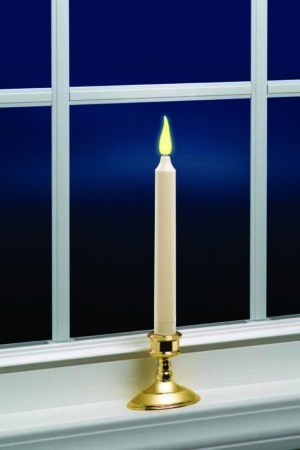 Optimized for use in windows. 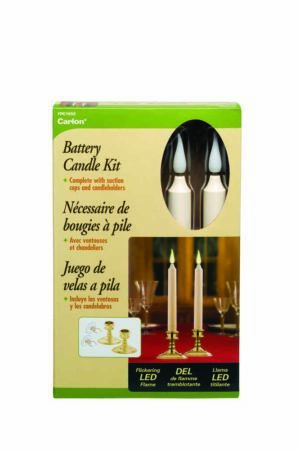 Uses three “D” alkaline batteries (not included).